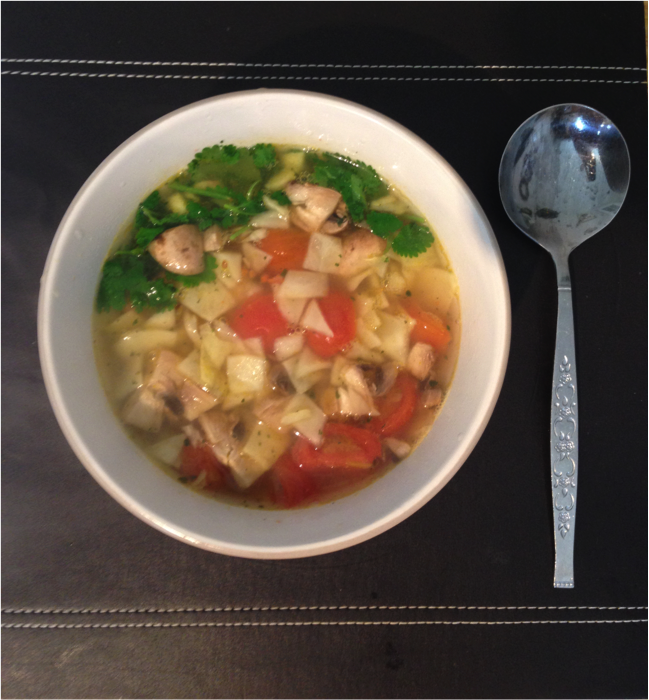 When you hear ‘cabbage soup’ you might think of a bland meal for a fad diet. Well, I can assure you that this soup is an exception. This water-based soup is full of flavour and nutrients, that’s right – nutritious and delicious. Boil 350ml of water in the kettle. Add the water to a medium saucepan and place over medium heat. 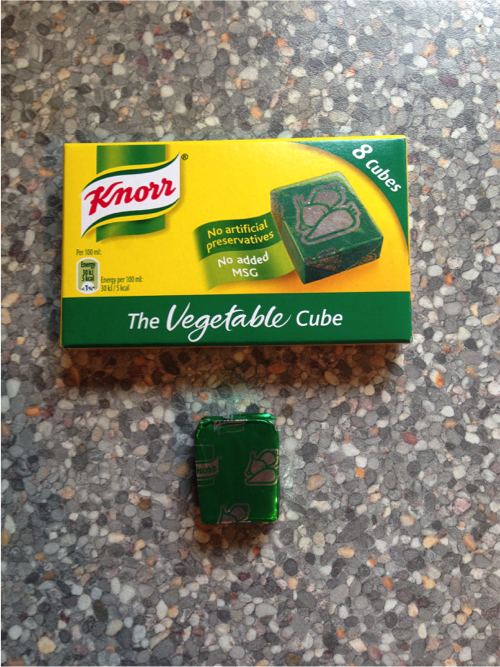 Once the water is bubbling, add half of a stock cube. Because of the salt in the stock cube, you only really need to use half for one serving. 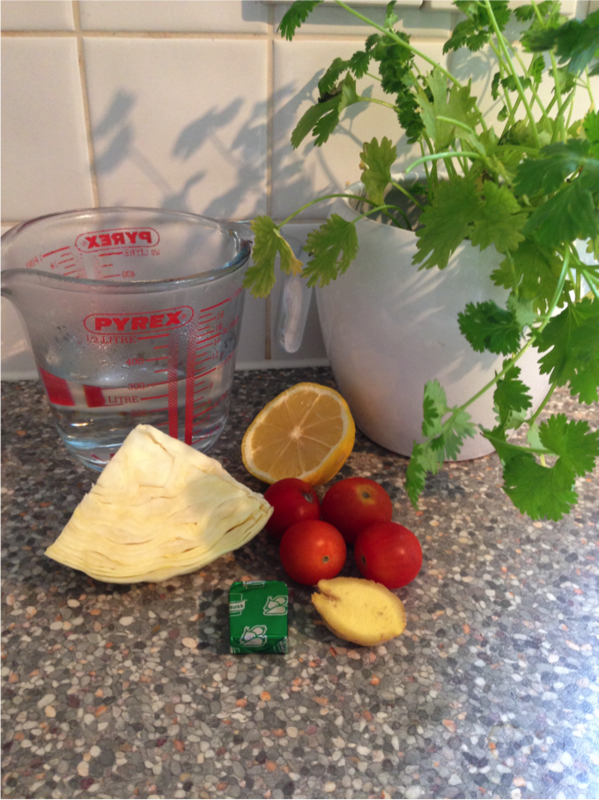 Whilst the stock cube is melting, prepare the white cabbage, cherry tomatoes and ginger. I am also using some mushrooms for texture, but these aren’t necessary. 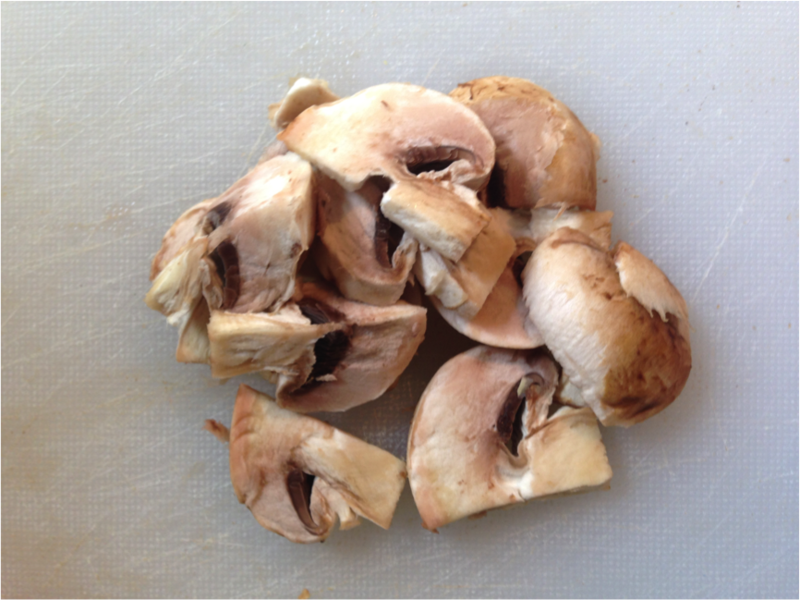 I am also using some mushrooms for texture, but these aren’t necessary. 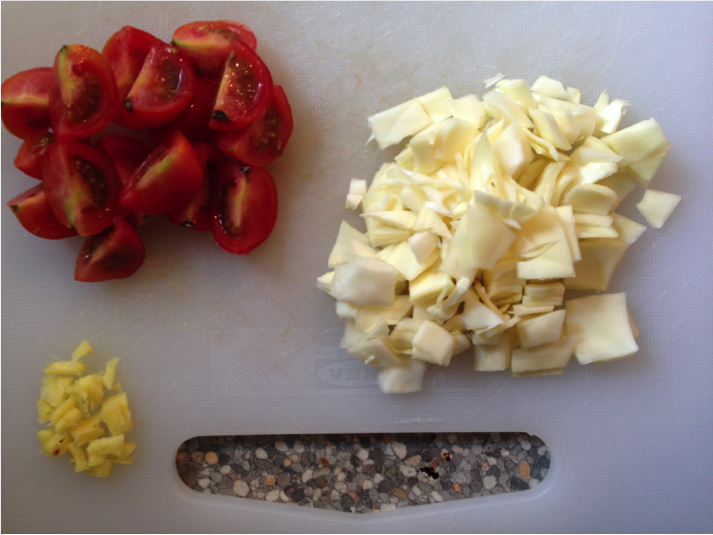 Add the tomatoes to the saucepan, and bring the heat down. 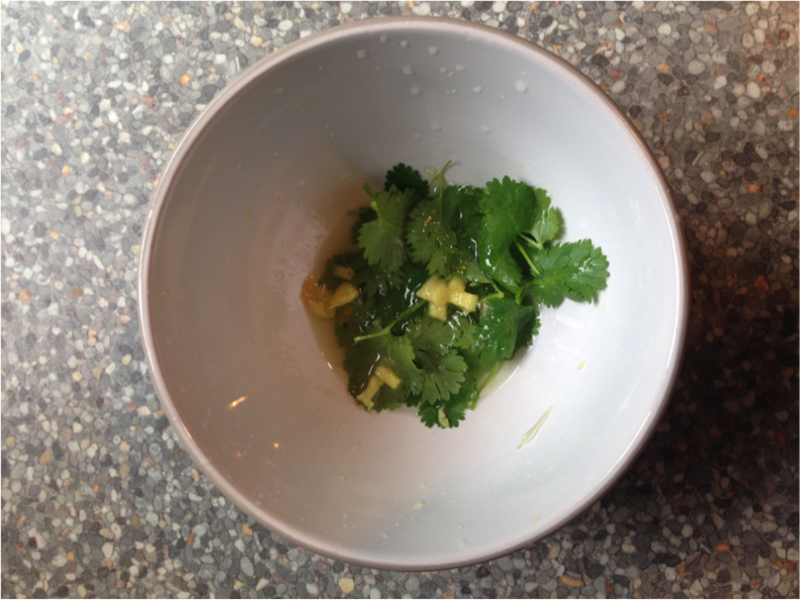 Whilst the tomatoes are softening, add the coriander, lemon and ginger to your bowl. If these ingredients are boiled with the soup – the ginger and coriander lose their fresh flavour, and the lemon becomes bitter. 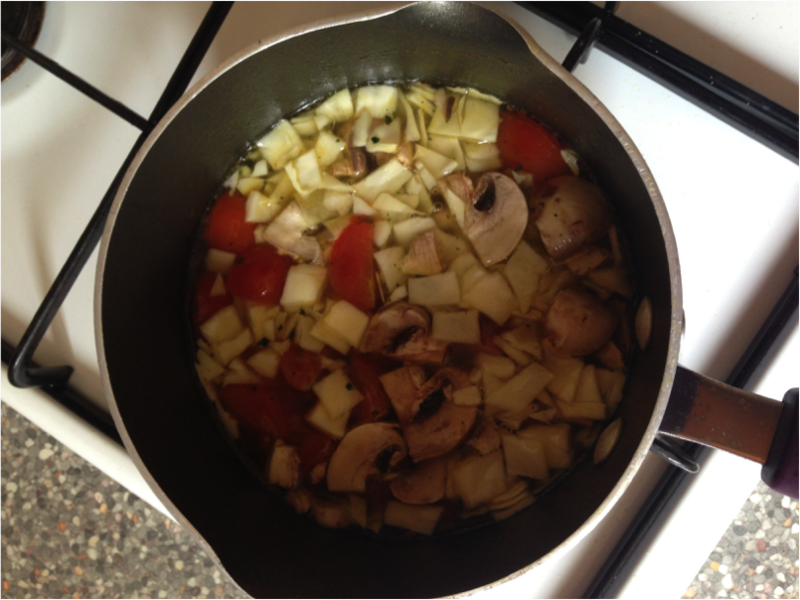 Add the white cabbage (and mushrooms if you like them) to the saucepan. Give the soup a stir. After 3 minutes, take the saucepan off the heat and pour into the bowl. 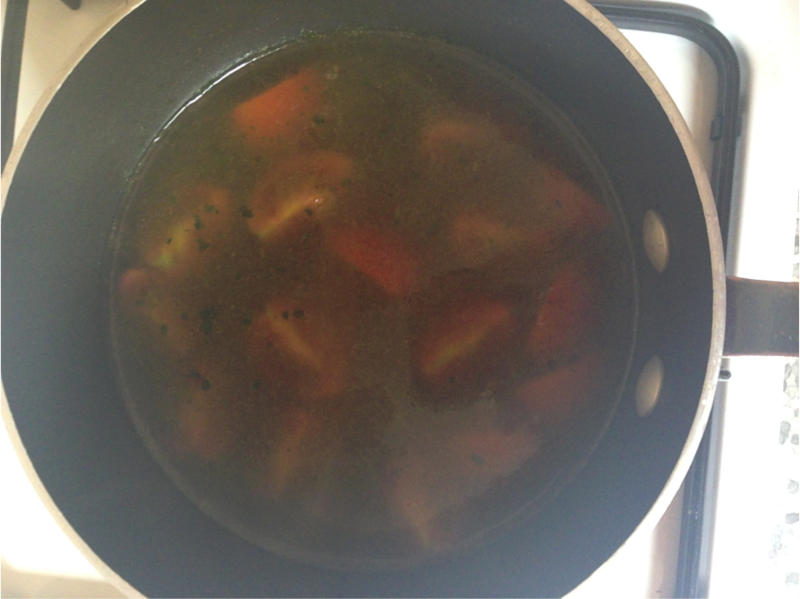 Make sure you give the soup a good stir to mix all the lemon juice, ginger and coriander in. Add black pepper and chilli flakes for more flavour. (The cost is calculated based on the proportion of ingredients used only, all bought from Asda).